To keep insects like Zika-carrying mosquitoes at bay, you need a good bug spray. Consumer Reports compiled a list of the Best Mosquito Repellents and, of the many they tested, five measured up as products worth trying. If you’ve been outdoors when it’s warm out, you’ve experienced mosquito bites. The obnoxious pests bites leave itchy, red spots on your skin that can last several days. They buzz and zip around your head, driving you mad. Mosquitoes are an insect we are used to. But, there are certain precautions you should take to avoid bites. Mosquitoes are the largest disease carrying insect in the world. So, avoiding bites is always a good idea but is easier said than done. When outdoors, using an EPA-approved insect repellent will help protect you from bites. But, you need professional mosquito control from Barnes Wildlife Control’s Mosquito Removal Service. Our services will keep mosquitoes away for good – further protecting you and your family. There are over 3,000 different species of mosquito and one of the most common insects in the world. They are also some of of the most biggest carriers of disease. Mosquitoes carry and pass on diseases like West Nile, Zika Virus, Yellow Fever, and Malaria. What Does Mosquito Control Mean? There are many steps that you must take to control mosquitoes. Aside from controlling the active population, you must manage breeding sites. Mosquitoes breed at an astonishing rate. A small population of mosquitoes can get out of control. So, enjoying the outdoors is close to impossible when this occurs. But, do you want trained and certified technicians for residential and commercial mosquito applications? Then you have come to the right place! Barnes Wildlife Control is THE Professional Mosquito Removal Service in greater Dayton Ohio. 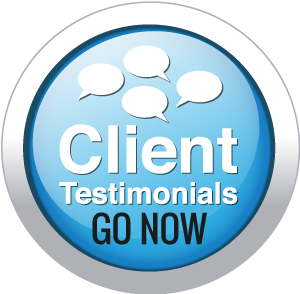 CALL BARNES TODAY AT (937) 340-1867 FOR A FREE CONSULTATION! Barnes Wildlife Control’s Professional mosquito removal service and control, and long term prevention is key to a mosquito-free home and lawn. Mosquitoes of all kinds need water to breed. Their eggs are laid on the surface of water and can be sustained in less than half an inch. Mosquitoes often lay their eggs in stagnant water that has collected in areas around the home. Common collection sites include old tires, empty flower pots, and buckets. Mosquitoes live for a short period of time but can cause serious problems nevertheless. 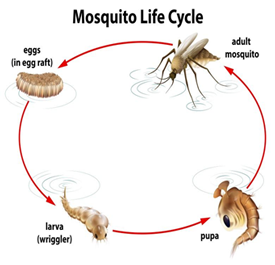 The entire life cycle of a mosquito, from egg to adult, can take place in as little as seven days. In order to create the most effective control program, your Barnes Wildlife Control technician will complete a property inspection and explain what habitat modifications need to be made in order to control the mosquito population. Barnes Wildlife Control uses only the best products and latest techniques for maximum effectiveness. We offer everything from one-time treatments to long-term mosquito control service. All chemical treatments are applied in accordance with local, state, and federal laws and distributed in a safe manner. Insect light traps are often an effective control method. We place them in areas with heavy population of mosquitoes, usually near entryways. 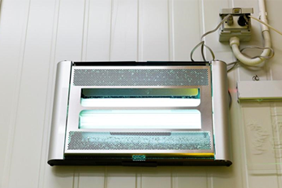 The light attracts mosquitoes into the trap where an electrical charge kills them. Manufactures construct light traps with or without ultraviolet light. Light sources may include fluorescent lamps, mercury-vapor lamps, black lights or light-emitting diodes. Designs differ according to the behavior of the insects. Fly light traps are safe, discreet, and effective. They are alternative to toxic chemical sprays since flies find them irresistible. Barnes Wildlife Control Mosquito Removal Service use professional fogging techniques to remove pesky mosquitoes so you can enjoy outdoor life on your property. Barnes Wildlife Control technicians train in outdoor fogging techniques. We treat large outdoor areas for mosquitoes. Habitat modification is necessary and effective for halting the mosquito breeding cycle. But you must take outdoor control efforts for active populations. 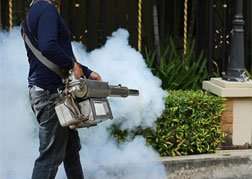 Fogging eliminates large populations of mosquitoes. Also, it keeps them away for up to 2 months. 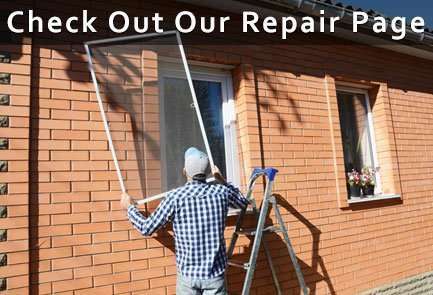 Open doors and damaged, torn, or missing window screens are the main entry points for mosquitoes. Upon arrival at your home or business, our technician will perform a full property inspection and inform you of any necessary repairs to prevent mosquitoes from re-entering. Placing a fine mesh screen over all doors and windows will help keep flying pests out, but still allow fresh air in. Be sure to check older screens for any tears or holes. Our professional and courteous staff is well-trained in all mosquito control techniques including habitat modification and repair work. We never sub-contract our work, so be assured you will always know exactly who you are dealing with. 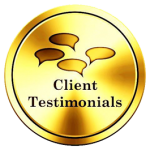 We strive to be the best by hiring only the most qualified individuals in our area. Don’t let mosquitoes ruin your year. Call Barnes Wildlife Control for professional mosquito removal! As the weather warms, mosquitoes start to appear. With a customized mosquito control program from Barnes Wildlife Control, your outdoor adventures will be mosquito-free. Take control of your property and start your mosquito control efforts today. Barnes Wildlife Control is a locally owned company. Our staff is licensed, insured, and professionally trained in all wildlife and insect removal, prevention, and control methods. Barnes Wildlife Control’s Mosquito Removal Service has the tools, treatments, and know-how to put an end to your mosquito problems. Call Barnes Wildlife Control Today! Mosquitoes driving you crazy? Are mosquitoes clustering around your outdoor gatherings? Contact Barnes Wildlife Control’s Mosquito Removal Service Now!